Sometimes you run for swag. Sometimes you run for the pure joy of feeling the ground beneath your feet and the wind in your face. Sometimes you run for even better reasons. On June 8th, join us on a run that will help accomplish something better, the battle against cancer. The Rawhide Run is sponsored by Medica, a regional health plan based in Minneapolis, and will be taking place at the Enders Golf Course. The registration fee is only $25 and is open to anyone that wants to come out and support a great cause! If you would like to participate in the rest of the Cattlemen’s Ball please click here to purchase your ticket. All proceeds go to fund the fight against cancer! On top of that, we invite you to share the reason you are running. Perhaps you are running in memory of someone that lost the battle with cancer, or maybe it’s for someone who is still fighting. Maybe you are celebrating the fact that you beat cancer. Whatever your WHY is, we want to use it to motivate others during the race. We will be placing signs along the race route with your WHY to help encourage the runners and give everyone a reason to finish! 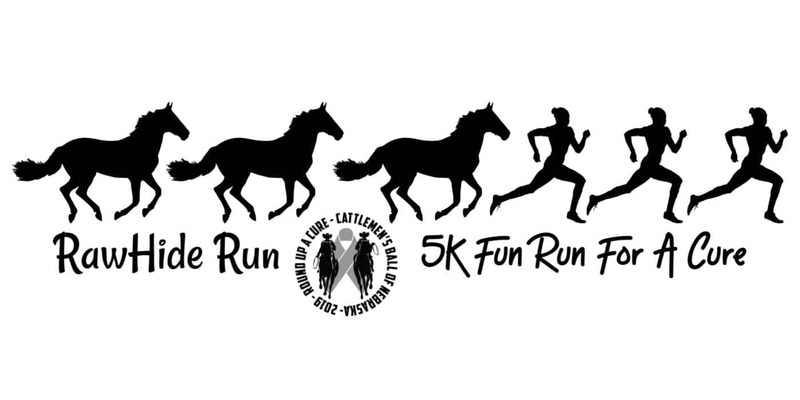 After the race is over, we will be placing these signs along the walking path leading to the Cattlemen’s Ball event site. Come run with us. Hear the gravel crunch beneath your feet and feel the wind in your face as you run for the joy of helping others in the fight against cancer. Kids are welcome to participate in the race for free! If they want a t-shirt, however, the registration fee will need to be paid – we are trying to raise money for cancer after all! !